Definitely time for an update! We had a wonderful few weeks at the brand new Grange Festival with John Copley’s delightful production of Albert Herring. It’s was a huge hit with the critics, and a joy of a job, from start to finish, with such a great cast. It was the fourth time I have played Nancy. She’s such a fun character to play. Cheeky and flirtatious, but with touching empathy. All my favourite roles so far have been the Britten ones actually. I have played Kate in Owen Wingrave several times, and she’s a fantastic character; very different to Nancy. She’s hard and cold, and yet reveals a very tender side. Hermia too, is great fun to play with her fiery temper, and her emotional hand god and lows across the span of the opera, A Midsummer Night’s Dream. Lucretia is very high up on my list of dream roles. After Grange Festival, it was on to the Three Choirs Festival in Worcester, for a recital with Simon Lepper. We presented a programme of songs, all by living composers, including the world premiere of a song cycle which was written especially for us by Sally Beamish. Sally had teamed up with the author of the No.1 Ladies Detective Agency, Alexander McCall Smith, to produce a delightful set of songs on the theme of birds, which was an honour to have written for us, and a joy to perform. That was a very busy weekend, as the very next day I had the great pleasure of performing at Wigmore Hall, with a huge group of some of the best UK singers of my generation, to celebrate the final song recital of the season. Conceived by Graham Johnson, we each performed solo lieder, but the highlight was to all sing together, Vaughan Williams’s heavenly Seranade To Music. After this I was straight into rehearsals with English Touring Opera, for their ambitious and spectacular production of Handel’s Giulio Cesare, performed in its entirety, without cuts! It had been several years since I had played a trouser role, but with great guidance from our director, James Conway, we found ways to make my character, Sesto, very three dimensional and sympathetic. I enjoyed it so much, and the production was a huge success with the critics; hailed as one of English Touring Opera’s best productions in years. A real thrill. We toured it from as far North as Keswick and Durham, right down to Exeter, and everywhere in between. English Touring Opera is a fantastic company to work for. It was my fourth tour with them, and I have learnt so much from each of those jobs. I started with them when I was still as student at the Royal College of Music, and learnt so much, gained so much experience and stagecraft that just cannot be taught at conservatoires. The chance to work with professionals in all departments, and repeat the role over and over again until you know it so well and it is so built into your body, having had the time and freedom to experiment with things, and make observations about what does and doesn’t work. It’s wonderful that ETO are so supportive of young singers. A busy few months of concerts followed, including Messiahs at Cadogan Hall and with City of Birmingham Symphony Orchestra. Then just before Christmas I made my Berlin Philharmonic debut, in a beautiful concert of Mendelssohn’s Midsummer Night’s Dream, under the baton of Ivor Fischer. It’s a favourite piece of mine, since I studied it for A-level, and to be sat amongst some of the best orchestral players int he world, hearing their almost deafening and glorious sound, was one of the absolute highlights of my career so far, even if mine was only a small role. Berlin is a fascinating city, and it was lovely to be there at Christmas time, and to enjoy the Christmas markets and Glühwein. In January I had the pleasure of performing with Malcolm Martineau, in a recital in Glasgow for BBC Radio 3, as part of Malcolm’s ‘My Life In Song’ series there at the Royal Scottish Academy of Music there; and then a lovely recital with Joseph Middleton, in Hexham, for an audience including many lovely supportive family members who live in Northumberland. This was very special for me. I am looking forward to returning to Bedford with Joseph Middleton in a few weeks, for a recital at St Andrews Church on March 10th, with a lovely programme of English and French songs, Lieder, and some favourite show songs. 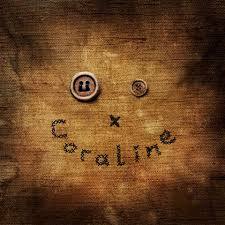 I’m now enjoying rehearsals for the world premiere of Coraline by Mark Anthony Turnage, which will be my Royal Opera debut. Its going to be a spectacular show, with some exciting special effects and fantastic jazzy score. It’s a favourite story of my eldest daughter, Ivy’s, so I really can’t wait for her to see it. I play Coraline’s mother, and also her ‘Other Mother’, who a pretty terrifying, witchy character, so I hope Ivy won’t be too spooked. Mark Anthony dropped in this week, which was a little nerve wracking, but it was great to meet him, and he seemed pleased with our work so far. 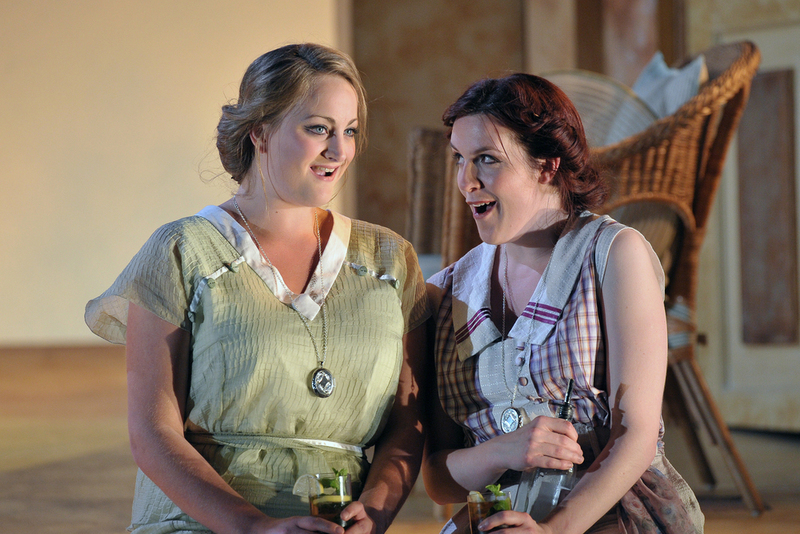 Later this year I look forward to returning to Opera Holland Park, for a new production of Cosi Fan Tutte there which I am really looking forward to. It will be the fourth time I’ve played Dorabella, and although she can be a bit of a silly character, it’s a great fun ensemble piece to be a part of. My husband and I fell in love playing Dorabella and Ferrando at RCM in 2011, so the music holds a special place in my heart. It was directed by the late Lee Blakely, who we tragically lost last year. It was an excellent production, and we learnt so much from Lee. He found great depth in the character of Dorabella, and had some great ideas to make her more than just a stupid girl. I’m really looking forward to returning to The Grange Festival again in July for a concert performance of Bernstein’s fabulous Candide. I adore musical theatre, and so rarely get the chance to perform some of my absolute favourite repertoire. Candide is not one that I know well, but I’m so looking forward getting to know it, which I should do by the end of the year because I’ll be doing it again this Autumn. My husband, Anthony, and I are excited to get the chance to work together, which we haven’t done for about six years. We’re off to Bergen in Norway for another Candide. The whole family will be heading out there, as Anthony is playing the title role, I’m playing Paquette and my dad will be playing the Narrator, so it’s a real family affair. I spent a very happy 6 week’s in Bergen in 2015, doing Britten’s Midsummer Night’s Dream. It’s a beautiful place and a wonderful company to work for. I’m so looking forward to returning. 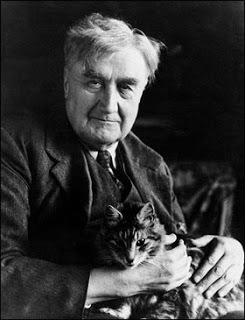 Shortly after that I will be recording some stunning songs by an absolute favourite composer of mine, Ralph Vaughan Williams. William Vann and I will be recording several stunning song cycles, some of which have never been recorded, as part of Albion Records’ Complete Works of Vaughan Williams anthology. At long last, Simon Lepper and I are thrilled to release our album Nights Not Spent Alone- Complete songs for mezzo by Jonathan Dove. We are so proud of it, and hope you'll love the songs as much as we do. So, a mere 18 months after my last post on here, I am finally getting around to updating my website! What can I say, I am a terrible technophobe, and it has been a VERY busy 18 months. Particularly since the arrival of a certain tiny someone who joined our family in June 2016. Baby Eloise (Lulu) has slotted straight into our crazy life, and by the time she was four months old she had already been to Vienna and Beijing with me, and sat silently through her Daddy's dress rehearsals at Glyndebourne. Just two weeks after Eloise was born, we all moved down to beautiful Lewes, where my husband, Anthony, was rehearsing at Glyndebourne for A Midsummer Night's Dream. A few weeks after that, off we went to Vienna, where I had a performance of Hadyn's opera La Canterina with Ian Page and Classical Opera Company. It was daunting, going straight back to work so soon, especially as I was still breast feeding. But Ian and the company couldn't have been more supportive, giving me plenty of feeding breaks, and scheduling as helpfully as possible. Anthony came with us and held Eloise in the wings at all times so that I could feed at every possible opportunity, and she seemed to love hearing us rehearsing with the orchestra. Next stop was Beijing, where I was doing the Aix Festival (Robert Carsen) production of A Midsummer Night's Dream. I was dreading taking a 10 week old baby on the 11 hour flight, but luckily I had my brilliant 'manny' (aka Dad) with me. We had a fascinating time there. Beijing is unlike anywhere either of us had ever been before. The city itself was not particularly baby-friendly, with its horrendous smog and step subways everywhere. I don't know how Dad's back survived as he lugged the push chair up and down hundreds of flights of steps. He even hauled it up a small mountain where he was determined to see a temple built at the very top. But the people couldn't have been more baby-friendly. Everywhere we went people wanted to take photos of her and hold her. They found her hilarious. We got so mobbed in some of the tourist areas, it was a little disconcerting sometimes. Eloise got far more attention than dad, which was unusual and quite funny. Many people thought that Dad and I were a couple, and told him off for having such a young wife, which was hilarious. He had to try to explain, mainly through charades as they spoke no English and we spoke no Mandarin, that I was his baby, and Lulu was mine. The performances went really well and seemed to be positively received by an audience generally unfamiliar with Britten. It was a great and supportive cast, and though I was ready to get home to the rest of my family by the end, I was so glad that I did it, and grateful to my dad for coming, and my mum who stayed behind with Anthony, to look after my eldest daughter, Ivy. It was difficult trying to keep up the breast feeding with the busy rehearsal schedule, and trying to make my brain and body work on so little sleep. But I feel an enormous sense of achievement for having pushed myself to do it, and managing ok. And dad and I will never forget the experience. Since then, life has calmed a little, in that we have all been in the UK at least. I have been entirely focussed on various concerts and recitals this year so far, including a lovely programme with Julius Drake at the Leicester International Music Festival, Vivaldi and Prokofiev at the Barbican Hall, and the Brahms Alto Rhapsody at the opening gala of the brand new Stoller Hall in Manchester. I also, both terrifyingly and thrillingly, stepped in at short notice, to a lunchtime recital at Wigmore Hall, which Sarah Connolly had had to pull out of. Luckily it was English Song that they wanted, and Joseph Middleton and I just so happened to be in the middle of resurrecting our beloved This Other Eden programme for a recital the following week at St George's Hall, Liverpool, so we didn't feel too underprepared. We really enjoyed ourselves once we settled down. It was so lovely to be performing that repertoire together again, and especially in such a special and magical venue as the Wigmore hall. I'm looking forward to working with Joe again on various projects next year. Right now I am in rehearsals for a production of Albert Herring at the brand new Grange Festival, which is great fun. I've played Nancy a few times before, and it's such a lovely role. I always really enjoy doing Albert Herring. Our esteemed conductor, Steuart Bedford, who assisted Britten himself, said to us on day one, that it is always a very happy piece to be a part of, and that he's never had a bad experience with it. We're certainly having a lot of fun and lots of giggles with our fabulous cast, and legendary director John Copley, who we are trying to convince he should write a book of all his hilarious and outrageous anecdotes of the mega stars he has worked with over the years at all the world's major opera houses. We open in late June, and look forward to being a part of this very new festival, which I am sure will be a great success. I have never worked at Grange Park before, but I am told it is absolutely lovely, so I am looking forward to moving over there for our stage rehearsals in a few weeks time. Earlier this year, I had the great honour of receiving three brand new songs, written especially for me, by one of my favourite composers, Jonathan Dove. When I first started on the BBC New Generation Artists scheme, I had written a fan letter to Jonathan, gushing about how much I adored his songs, and telling him that I hoped to record some of them during my time on the NGA scheme. He very kindly took the time to write back, and we struck up a friendship. So when the BBC offered to commission a new work for me, I jumped at the chance of working with Jonathan. I went to his house in East London, and we had a sing through of all sorts of repertoire so that he could get to know my voice and my range, and we discussed possible texts. Jonathan wanted to write me a cycle which would be useful tome for future recitals, so we talked about recital programmes which I had in the pipeline, including one which I have performed with my mother at the Oxford Lieder Festival- A Woman's Journey. This is a programme of songs which describe the life events of different women, from Schumann's Frau, Debussy's Bilitis, Wolf's Mignon, and many others, punctuated with complementing poetry written by women, read by my mother, the actress Madelaine Newton. I sent Jonathan the list of repertoire for this programme, and he was particularly taken by the idea of setting some of the poems of Edna St Vincent Millay, already a favourite poet of his. And so Nights Not Spent Alone was born. Fantastic settings of Recuerdo, What Lips My Lips Have Kissed, and I Too Beneath Your Moon, full of smoky nostalgia, melancholic numbness, wit, anger and passion. I was thrilled. Simon Lepper and I so enjoyed the premiere performance, which we gave at the Cheltenham Festival, in the beautiful Pittville Pump Room. We had some lovely feedback from the audience on the day, and the performance was later broadcast on BBC Radio 3, which you can listen to now. I am currently enjoying a very energetic and fun time in Bergen, Norway, for the magical Robert Carsen production of Britten's sublime imagining of A Midsummer Night's Dream. It is a superb production, which has been running (and jumping) for 24 years around the world, after it's first performance in the Aix en Provence Festival. If you ever get the chance to see this producton, which I know will last forever, please grab it. It is a masterpiece. You can watch the whole thing here, filmed last year at the Aix en Provence festival, with a different cast. Read more about the production here, from the artistic director of Bergen National Opera, Mary Miller. We have superb cast, many of whom are British singers. It has been a great pleasure to work with old friends, including my old Chetham's School of Music buddy, Marcus Farnsworth, with whom I have performed in three Britten operas over the past few years. My Lysander, Ben Johnson, is a fellow BBC New Generation Artist, and we have known each other for a long time, although we have not worked together very often. Our Helena, Swedish soprano Hanna Husahr, and I studied together at the Guildhall School of Music and Drama, so it has been lovely to catch up with her, and she and I have some fantastically fun scenes together, playing with Barbie dolls and pillow fighting. We have just a few more performances left, before returning to the UK after five happy but long weeks away from our loved ones. It has been great fun, but I am ready for home now. One thing that has made my time away from home easier, was a lovely visit from my parents, who brought my daughter, Ivy (9) here to see me. We had a lovely time exploring the mountains and fjiords, and my family enjoyed watching some of the rehearsals and sneaking backstage to see some of the superb costumes. There are talks of further revivals in 2016, so watch this space. One of the highlights of my career so far, was the BBC Chamber Prom in honour of Stephen Sondheim's 85th birthday. Sondheim is my all time favourite composer, but I rarely get the chance to perform his songs publically, let alone the chance to sing all my favourites in one afternoon, with some of the best musical theatre artists in the business! I got to share a stage with the legendary actress, Sian Phillips, and to sing some of my absolute favourite duets, with the fantastic star of the West End stage, Jamie Parker. We were accompanied by our fabulous MC/MD, Richard Sisson, who arranged a great deal of the music, and by a hugely talented young saxophonist, Anthony Brown. We played to a packed audience at the Cadogan Hall, as well as being broadcast live on BBC Radio 3, which is always terrifying. Despite some major technical issues with the microphones at the start, we had a ball. It was over all too quickly, and I desperately want to do it all again. But happily I have the recording to remember the day by. Last week, Kitty made her television debut, on BBC 2's News Night, together with Richard Sisson, to publicise their upcoming BBC Chamber Prom at Cadogan Hall on August 17th at 1pm. See their performance of Sondheim's 'Everybody says don't' here by scrolling to 44 minutes in. Kitty releases her debut album in March 2015, a collection of English songs and poetry featuring pianist Joseph Middleton, the Navarra Quartet and her parents, actors Kevin Whately and Madelaine Newton. Released on the Champs Hill record label, This Other Eden: A Landscape of English Poetry & Song unfolds over five ‘chapters’, each themed around different aspects of the British landscape. Spoken-word excerpts, including texts from Shakespeare, Housman and Hardy intersperse songs by composers including Britten, Vaughan-Willians, Gurney, Ireland and Barber. Kitty travels to Spain and the Netherlands with the Britten Sinfonia for three performances of Haydn Nelson Mass on 12 and 13 February in Spain, and at the Concertgebouw in Amsterdam on 28 February. Kitty joins soprano Julia Doyle, tenor Andrew Tortoise, oboist Nicholas Daniel, and the National Choir of Spain for two performances at the Canary Islands Music Festival. On 12 February the tour will visit Las Palmas, and 13 February Tenerife, with Eamonn Dougan conducting. Following the concerts in Spain, they will appear at the Concertgebouw in Amsterdam in a concert also featuring soprano Katherine Watson, baritone Derek Welton, and conducted by Stephen Layton.